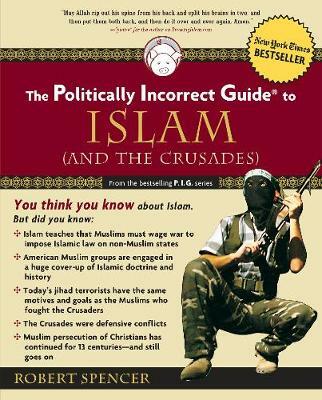 While many choose to simply blame the West for provoking terrorists, Robert Spencer's new book The Politically Incorrect Guide to Islam (and the Crusades) ™ reveals why it is time to ignore political correctness and identify the enemy - if we hope to ever defeat them. In a fast-paced, politically incorrect tour of Islamic teachings and Crusades history, Spencer reveals the roots of Islamic violence and hatred. Spencer refutes the myths popularized by left-wing academics and Islamic apologists who justify their political agendas with contrived historical "facts." Exposing myth after myth, The Politically Incorrect Guide to Islam (and the Crusades) ™ tackles Islam's institutionalized mistreatment of non-Muslims, the stifling effect Islam has on science and free inquiry, the ghastly lure of Islam's X-rated Paradise for suicide bombers and jihad terrorists, the brutal Islamic conquests of the Christian lands of the Middle East and North Africa, and more.